The FC-114 boards I have have the Bolutek firmware. User DS has reported that he/she has FC-114 boards that have the linvorV1.8 firmware. So if the below does not work for you then check what firmware you have. 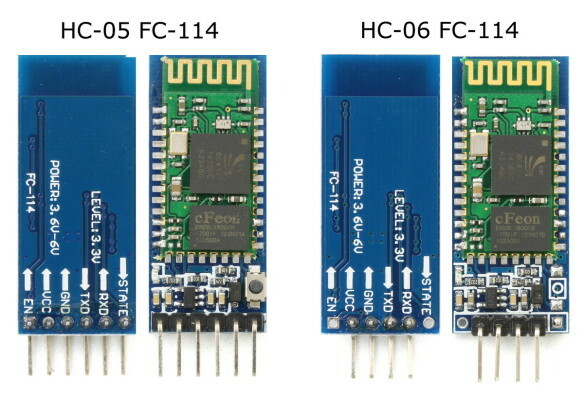 Since the HC-05 FC-114s and the HC-06 FC-11s share the same firmware the following should work on either module. The default setting on start up is Slave Mode waiting for pairing or a connection and also accepting AT commands. This means it is fairly simply to start using AT commands. 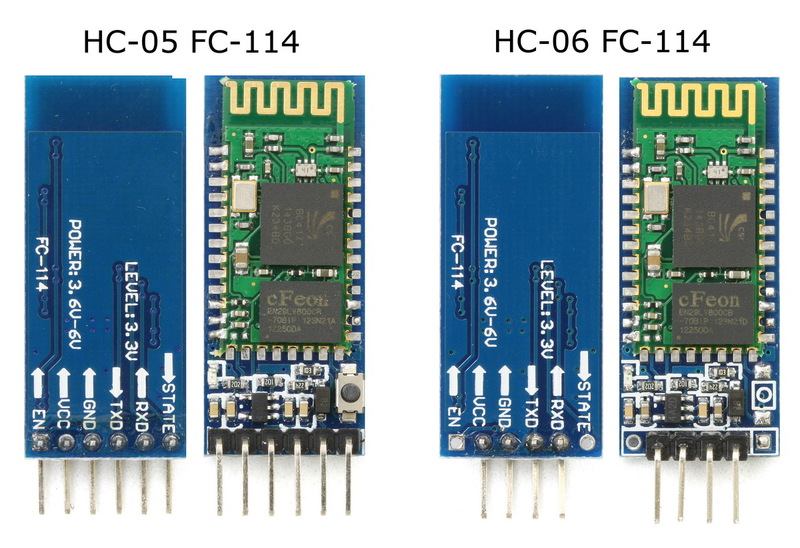 I have just received some new HC-05 and HC-06 Bluetooth modules. These were sold as zs-040s which is the module I actually wanted but I received modules marked FC-114. They share the same breakout board as the zs-040 but have different pins soldered between the Bluetooth module and the breakout board and have a very different firmware. The small push button switch still has traces to pin 34 and still pulls pin 34 HIGH, however, on the FC-114 boards, pin 34 is a regular IO pin and closing the button switch doesn’t do anything. On the zs-040 boards, closing the button switch and pulling pin 34 HIGH puts the modules in to AT mode. Since the FC-114 starts in AT mode this is no big loss. It took me a while to figure out the differences.